I.M.S. offer Vacuum Conveying systems / Vacuum Conveyors of PIAB Make from Sweden. 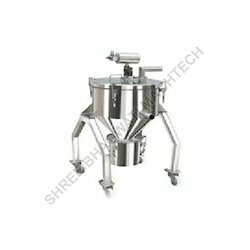 These are sophisticated Vacuum conveyors, made in SS, as per cGMP, suitable for handling powder, and also suitable for handling granules for loading them into the Tablet compression machine, automatically through vacuum. We are offering Dilute Vacuum Conveying Systems. 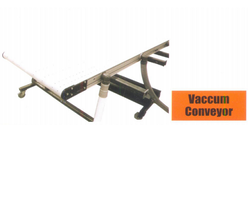 Vacuum is used with great advantage in conveying dry powder products through dedicated pipe systems. Piab's vacuum conveying systems are built of high quality material.